I was reading a statistic that said that 1 in 3 teenagers report abuse in dating. I googled to see if that seemed normal and one site said 38% and another said 1 in 4 teens are abused. Reporting can be spotty since most girls keep it a secret. On the surface it’s hard to understand why a girl would go through this when she has her life ahead of her and her choices are endless. The problem with this type of thinking is that we forget to think like a teenage girl whose completely infatuated with love and having that cute boy or bad boy at any cost. As with adult women in abusive situations these men are often quite apologetic after their abuse. They cry, they send flowers or gifts, the promise that it will never happen again. They swear that if she hadn’t have angered him so much he wouldn’t have done it. If a grown woman falls for these lines time after time then what can we expect from our teenagers? 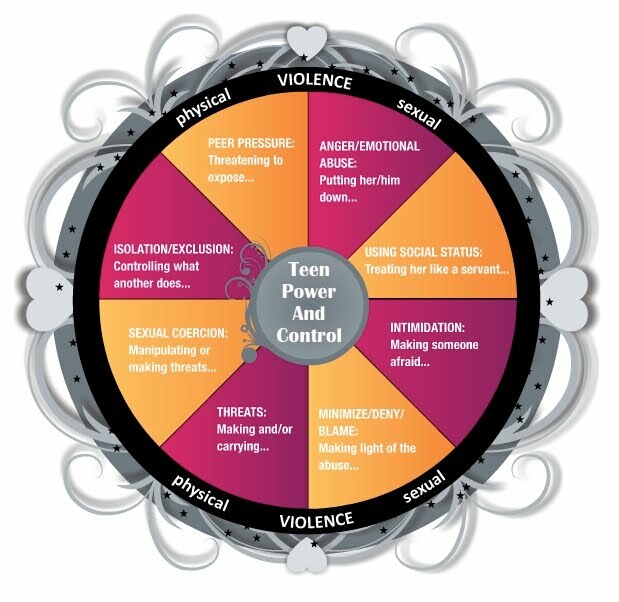 As with adult women, teenage girls tend to make excuses and feel responsible for the abuse. Then there are the girls who abuse the boys as well. One question needs to be asked: What does using our strength look like? If we, as the women God, have been placed to lead our girls and don’t know the answer to this questions then how do we think they respond? A question I asked a group of youth girls recently was, “What does showing your strength as a woman look like?”, it was met with blank stares and a question, “What do you mean?”. I then asked the women, “Why can’t the girls that we mentor answer this question confidently?”, and it was boldly answered by one women, “Because we don’t know either”. A woman doesn’t show her strength by being tough. We weren’t designed to be physically tough. We were designed after everything on the earth was created. God didn’t create anything else after he created us. We show our strength in our nurturing, we show our strength in our ability to be relational, we show our strength in our love. Teen girls are being abused because they don’t know their strength, they don’t know their worth, they don’t know their possibilities. So they think being abused is as good as it gets and that saying sorry fixes it. We need to elevate our worth to a higher standard. Just because a male is good-looking, charming, popular, smart or a jock doesn’t mean he has character and integrity. A person can be smart but that doesn’t mean they are decent humans. Just because he says he is sorry doesn’t mean we take him back. We are worthy of so much more than this! How will our young women know these things if we aren’t teaching it? How can we change these statistics unless we speak out and have dialogue? Stop for a moment as you read this and think about it. Have you talked to the young women in your life about abuse in dating? Are you watching for the signs? We must learn that our strength is in our ability to think for ourselves. Our strength is holding ourselves to a high standard of morality and worth. Our strength is in not following the crowd. Our strength is in the ability to discern right from wrong. These things only happen when we are able to truly know who we were created to be. Kudos on another great post. It is sad that women think that they have to be as tough as men and as tough sounding with their foul language. It breaks my heart every time I hear a girl or woman using foul language. What is even more amazing is that women who use foul language in public often refuse to talk dirty in bed with their own husbands. Ironic huh?